Once home to the Gooderham and Worts Distillery, the old-world Distillery District transformed into a world-class neighbourhood pulsing with youthful, creative energy. Location: The Distillery District is located east of Downtown Toronto, about 3 kilometres away. The neighbourhood is bounded by Parliament Street in the west, Cherry Street in the east, and Distillery Lane in the south. Corktown is due north and the Toronto waterfront south, across the Gardiner Expressway. Transportation: Streetcar lines and regular buses that ply Parliament and Front, among other streets, connect the Distillery District with the rest of Toronto. You can take the streetcar from different points around the neighbourhood, but the Distillery Loop, located on the eastern end of the district, is closest. 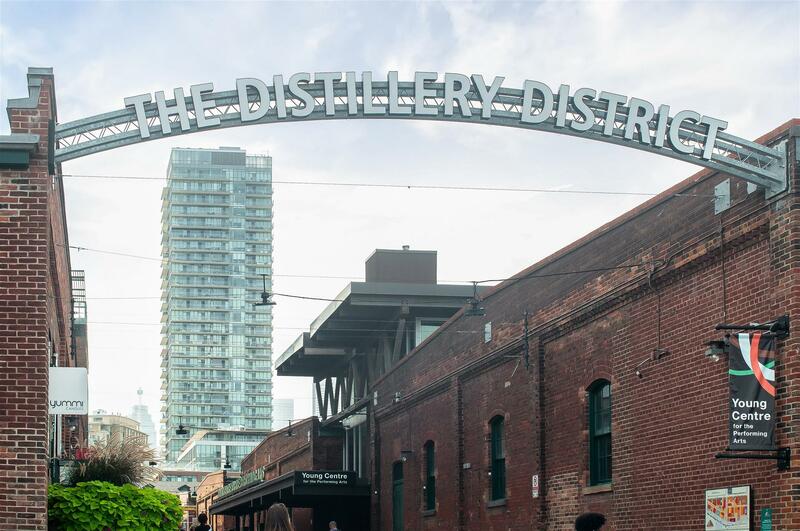 The Distillery District's proximity to the Gardiner Expressway is also beneficial for local residents. Who lives here: The Distillery District is home to a diverse but small population of residents. You will rub shoulders with anyone, from young professionals pursuing careers downtown, to empty nesters who have downsized, to students attending George Brown College's St. James campus. The Distillery District's condo and loft market is smaller than others in Toronto. And considering the size of the neighbourhood, it is understandable. The limited housing supply, however, has helped keep condo values and prices in the Distillery District stable and relatively high. The lofts and condos in the Distillery District vary in size. The prestige of living in one of Toronto's most desirable neighbourhoods is undeniable. Furthermore, many of these units feature gorgeous views of the district and the Toronto waterfront. Learn more about the Distillery Market's condo and loft market with Casey Ragan. Get in touch with him today. Shopping: This is one of the best places in Toronto to purchase local art and crafts and other types of products from the city's creative set. Independent boutiques stand alongside well-known brands, giving shoppers some diversity. Some of the shops and galleries you will find in the Distillery District include All In The Wild, Arta Gallery, Desigual, Crimson & Clover, Deciem, and The Saucy Milliner. You can also take your pick among a wide selection of liquor, beer, and spirits at establishments such as The Beer Store Boutique, Spirit of York, Mill Street Brew Pub + Beer Hall, and Izumi. 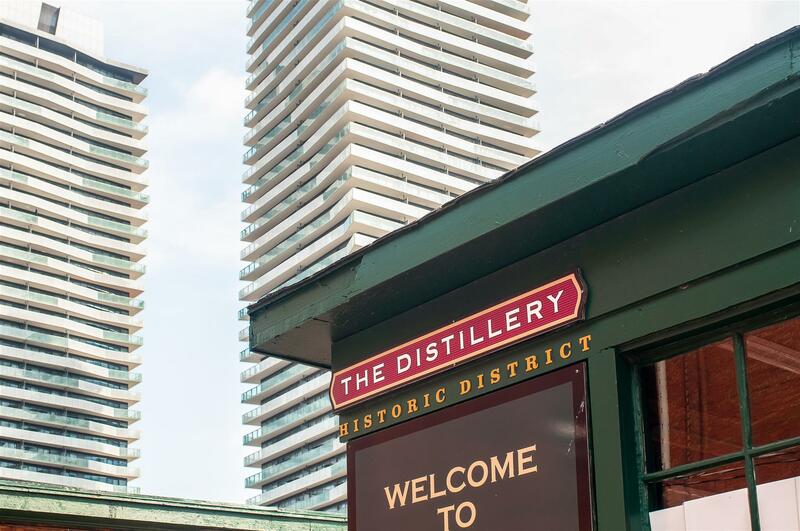 Wining & dining: There is no better place to wine and dine than the Distillery District. The neighbourhood has a high concentration of trendy restaurants and bars, all of which deliver unique dining experiences. Do not hesitate to try out the following: El Catrin Destileria, Cluny Bistro & Boulangerie, Pure Spirits Oyster House & Grill, Archeo, and CACAO 70 Eatery. 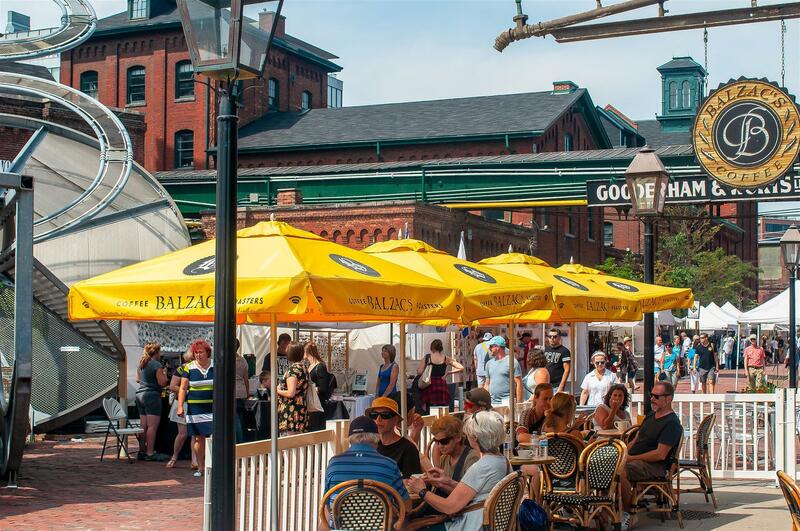 History & culture: Seasonal events mark the Distillery District's social calendar. The Christmas Market is, without a doubt, the favourite and most awaited. Performing arts also thrive in the area, with the Young Centre for the Performing Arts, Dancemakers, and Ernest Balmer Studio serving as hotbeds of activity and productions. For a better look at the Distillery District's arts and culture scene, click here.